To cap off our long trip through the United Kingdom and Ireland, we’ve set off to one of the more complicated and unique countries in the world – Northern Ireland. Come with us as we explore the history, culture, and places that make this land so extraordinary. Most of what we know about early Irish history begins with the arrival of Celtic tribes to the island around the 5th century. For the next several centuries, it was a time of limited Roman interference, Viking raids, Norman invasions, and political strife. If you’d like to read more about early Irish history, check out the beginning of our profile on the Republic of Ireland HERE. The story of Northern Ireland as a distinct region begins around the late 16th century, when it was the hotbed of resistance against English expansion on the island. Though the land was declared the Kingdom of Ireland, English dominance was scattered due to these pockets of rebellion. Starting in the early 1600’s, the tide began to turn against the Catholic resistance, with many of the elites fleeing the country for continental Europe. This enabled Protestants from England and Scotland to settle in the north of the country. After victory in the Williamite War in Ireland (1688-1691), with the Siege of Derry and the Battle of the Boyne especially important conflicts, Anglican (English Protestant) rule was ensured in the north of Ireland. Following consolidation of their power, the Anglican rulers imposed harsh penal laws on the population – largely in order to impoverish the Catholics. This in turn caused further anger amongst the Catholics, leading to prolonged periods of resistance and rebellion. Despite the hostility, the Anglicans continued to remain in power; with the 1795 victory at the Battle of the Diamond a major turning point. In the early 20th century, the Catholic-Irish push for home rule (autonomy within the United Kingdom) grew stronger across the entire island. While the Republic was staunchly in favour of home-rule, Northern Ireland (largely the province of Ulster) was divided with strong majorities of unionist support in some pockets and vocal minorities in others. After the end of World War I the sentiment amongst nationalists had gone from home-rule to full independence and a conflict soon broke out between Ireland and the British (the Anglo-Irish War from 1919 – 1921). Lawmakers frantically tried to come to a solution that would be accepted by both parties. The result was that Ireland was partitioned; that is divided into two entities with twenty-six counties ruled by Dublin and six (making up the majority of northerly Ulster) ruled by Belfast. With the creation of the Irish Free State in 1922, newly founded Northern Ireland (the six counties) exercised its right to withdraw from the Irish Free State and remained a part of the UK – thanks to the large amount of Protestants in the region. Years later, the ‘Ireland Act 1949’ guaranteed that the country would remain a part of the United Kingdom until the Northern Irish parliament ruled differently. Of course this wasn’t the end of the story, as there remained a large proportion of Catholic Irish Nationalists within Northern Ireland. Conflict between elements of this population and the unionist (Protestant) community began in the late 60’s and continued for about 30 years. This prolonged period of violence is known as The Troubles. Nationalist paramilitary groups (such as the Provisional Irish Republican Army or IRA) fought a long campaign to end British rule in the country for good. In turn, loyalist paramilitaries (such as the UVF and UDA) formed to fight the nationalists with large losses of life on both sides. In addition the British Army and local police were heavily involved, often coming to conflict with the IRA. There were also constant questions about the possibility and amount of collusion between the British security forces and the loyalist paramilitaries. Atrocities were committed on both sides, with combatants and civilians alike losing their lives – over 3500 dead and many thousands more injured by the conflict’s end. Violence occurred both in Ireland and in the rest of Britain – with a 1984 hotel bombing in Brighton narrowly missing then PM Margaret Thatcher. With the conflict showing no signs of ending, steps were taken to find a political solution. In 1998, the peace process resulted in the Belfast or Good Friday Agreement. A complex power sharing system was agreed, where both nationalists and unionists would be guaranteed a certain amount of seats in the Assembly. In addition, agreements were put in place to solidify both the relationship between Northern Ireland and the UK, as well as the Republic of Ireland – with the latter allowing some issues to be solved without interference from the rest of the UK. While there have been sporadic incidents of violence since the agreement, the conflict and the Troubles as a whole are generally accepted to have ended in 1998. Northern Ireland is currently led by First Minister Peter Robinson (unionist) alongside his deputy, Martin McGuinness (nationalist). The recognized end of the Troubles has resulted in the country becoming a much more attractive tourist destination, with the future looking considerably brighter. As you might expect, Northern Irish culture is largely a mix of Irish Catholic and British Protestant. This mix can be seen clearly in everything from parades to the symbols of the country. Depending on where you are, you might see the Irish Tricolour, the Union Jack, the Ulster Banner, or one of many other flags flying. When it comes to anthems, you could hear ‘God Save the Queen’, ‘Londonderry Air’, the Irish national anthem (Amhrán na bhFiann), or the specially commissioned ‘Ireland’s Call’ at rugby union matches. Parades of all sorts often take place, whether celebrating the Orange Order (unionist) or republicanism. The point of this is that depending on whom you ask, Northern Ireland could be represented in a completely different light. Some identify as Irish, others as British, while others prefer ‘Northern Irish’. No matter who you are though, sports are important across Northern Ireland – with many organized on an all-Ireland basis. The main exception is soccer, with Northern Ireland and the Republic competing separately. Rugby union, cricket, and Gaelic games (football and hurling predominantly) are supported throughout the country as well. Northern Ireland consists of six of the nine counties of the province of Ulster. 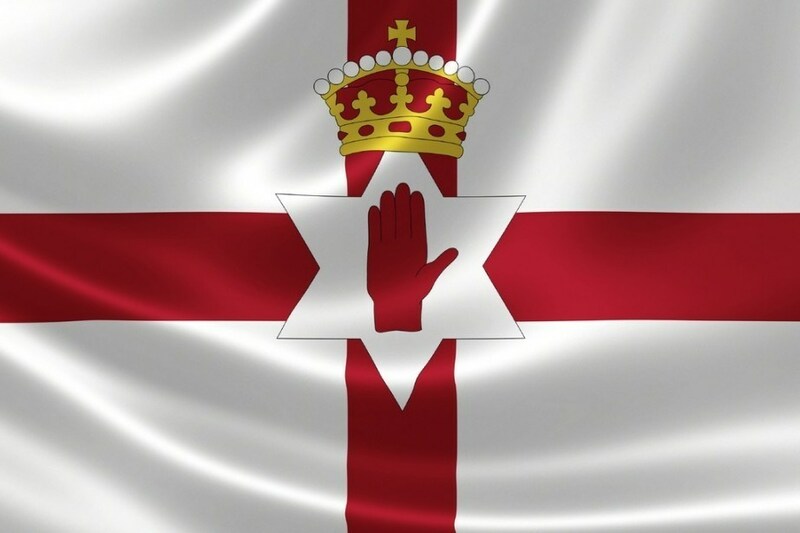 All totalled, Northern Ireland accounts for slightly less than a third of the island of Ireland – making it the smallest member of the United Kingdom (in area as well as population). Like the rest of the island, the country features rugged coastlines, rolling hills, and a temperate, wet climate. 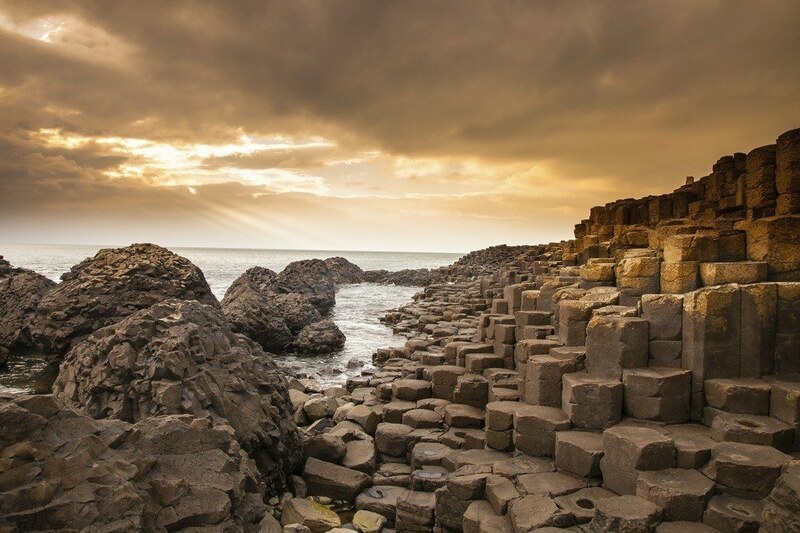 The land is home to a number of stunning natural landmarks, most notably the Giant’s Causeway. The largest city and capital of Northern Ireland is Belfast. The city was a prominent economic centre during the Industrial Revolution largely due to linen, tobacco, rope making, and its shipyards. 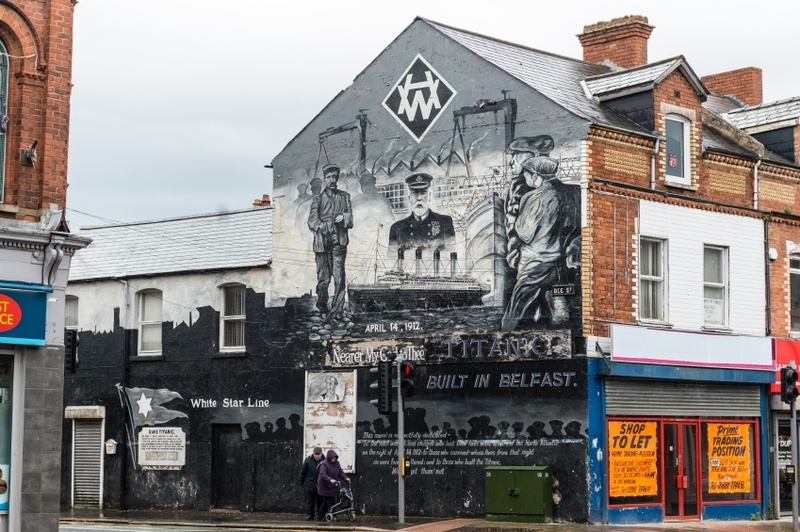 Since the end of the Troubles, Belfast has experienced vast economic growth and expansion while remaining the centre of industry and life in Northern Ireland. One of the other major cities is Londonderry or Derry, with the name differing depending on whom you ask – the former preferred by unionists and the latter by republicans. While the Troubles are still a fresh memory for many, Northern Ireland has come a long way since the late 90’s. With a burgeoning tourism industry, vibrant cities, and unmatched natural beauty – it’s no surprise that the country has been on an upswing over the last couple decades. Stay tuned to the Current for our Country of the Week. We’ll explore the familiar and the foreign, plus uncover some hidden gems. See all of our previous countries HERE. Also, be sure to check out our Currency Spotlight for more information on the pound. 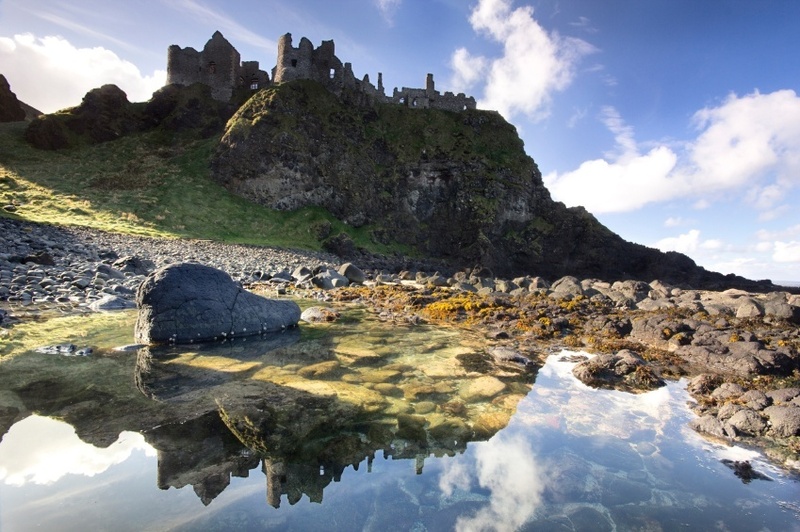 For more on Irish history and culture, check out our profile on the Republic of Ireland HERE.